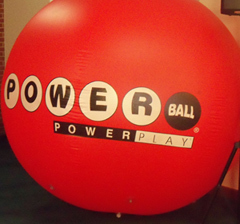 The Powerball jackpot has climbed to a record level after going unclaimed since the November 29th drawing. Iowa Lottery spokesperson, Mary Neubauer, says there’s added attention to this jackpot for another reason. She says it’s been almost one year since the jackpot was this high as there seemed to be a winner every few weeks. The jackpot rolls over when there’s no ticket with the winning numbers.”It’s at an estimated $450 million annuity, that’s a little more than $304 million with the cash option,” Neubauer says. “That is the third-largest jackpot in the history of the Powerball game and it is the fifth largest jackpot ever in North America.” She says with the increased attention and sales, there’s a good possibility the jackpot could be raised before Wednesday night’s drawing. She says you won’t increase your odds of winning by spending larger sums of money on the big jackpot. “The message that we emphasize all the time is to remember that this is just for fun. Play responsibly, have fun with it, but don’t get in over your head,” Neubauer says. It’s common for people to put together office pools to buy tickets, and Neubauer says you should take a few steps to protect everyone if that’s what you do. The next Powerball drawing is at 9:59 p.m. on Wednesday, and in Iowa you can buy a ticket up until 8:59 p-m on that day. You can find out more about the drawing on the Iowa Lottery’s website.